From platinum to silver to gun-metal gray, successfully creating the new metallic hair look requires two essential elements. 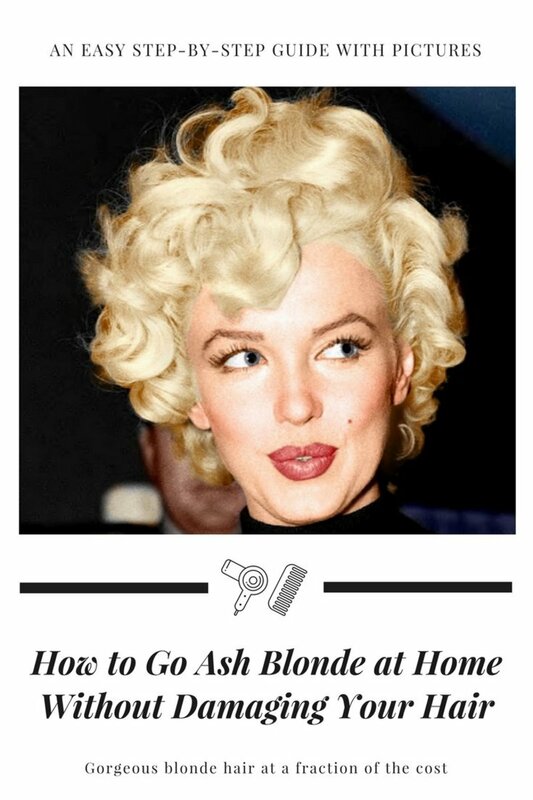 The color should not look "real" (after all, who wants to look like they really have gray hair) and all brassy tones must be removed. This style requires a high gloss finish, for the unreal metallic look, and high levels of de-colorizer to remove any warm shades of red or gold (achieved by bringing the hair up to a level 9 or higher, if possible). 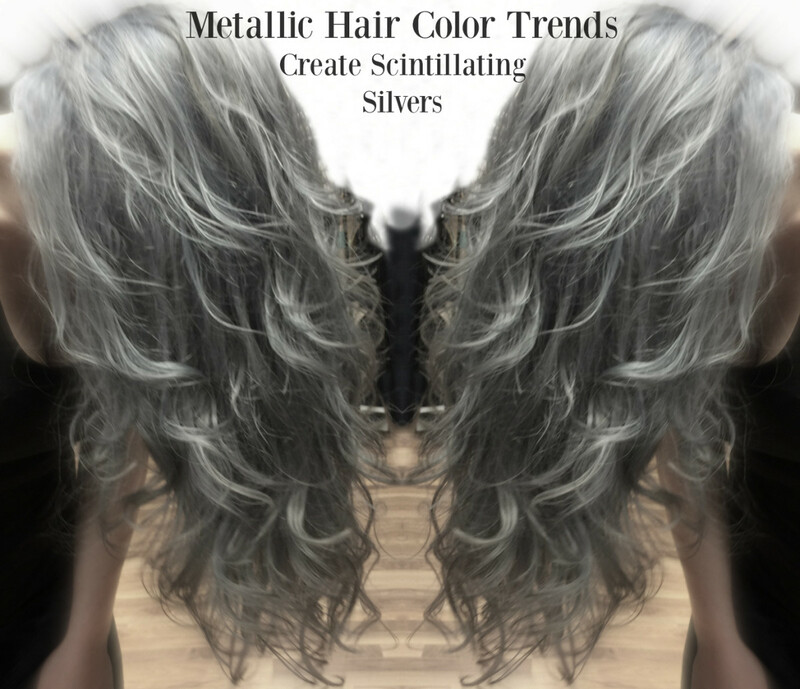 These style tips and formulas will tell you or your stylist how to achieve these surreal metallic looks without damaging, and in some instances, actually improving your follicles. These three principles of metallic hair color are essential to creating the runway look. Hair is taken to the highest level possible without damaging the follicles - 9 is the minimum level to achieve these shimmery effects. Olaplex is added to the lightener to reduce the damaging effects. The roots are 2-3 shades darker than the ends of the hair. The first 3/4 inch of roots can be the darkest to create a reflective effect, then using blending techniques described below, hair in each foil is brushed with two shades of color with blending of those shades 3-4 inches from the root. Use longer foils to attain maximum control and coverage. Olaplex's 3 Step System multiplies and rebuilds bonds to eliminate breakage from chemical services. Olaplex is added directly to the lightener and color in the measurements below. STEP 1 Lightener: Olaplex Bond Mulitplier No. 1 is added directly into lightener or color after mixing in developer. Never add it directly to the powdered bleach. Mix your bleach powder with developer thoroughly first, then add OLAPLEX No. 1. Once everything is mixed together, you can add more bleach powder for thicker consistency. Note: When adding Olaplex, you must increase your developer one full volume - for example 10v to 20v, 20v to 30v, 30v to 40v. Never use 10 volume as OLAPLEX dilutes the developer; you must bump it up or processing time will take forever. Processing time will take longer with OLAPLEX. STEP 2: Adding Olaplex to Color: The simple rule to follow is 1/8 oz. OLAPLEX No. 1 mixed into everything: gloss, semi, demi and permanent - you do not need to bump up the developer with the base color. STEP 3: Bond Perfector No. 2 After rinsing haircolor, apply OLAPLEX Bond Perfector No. 2 for a minimum of 5 minutes then rinse, shampoo, and condition. You can even leave it in the hair to use as a cutting lotion for as long as 15 minutes. STEP 4: Olaplex Hair Perfector No. 3 Aftercare for the Olaplex system includes using OLAPLEX Hair Perfector No. 3 at home once a week. 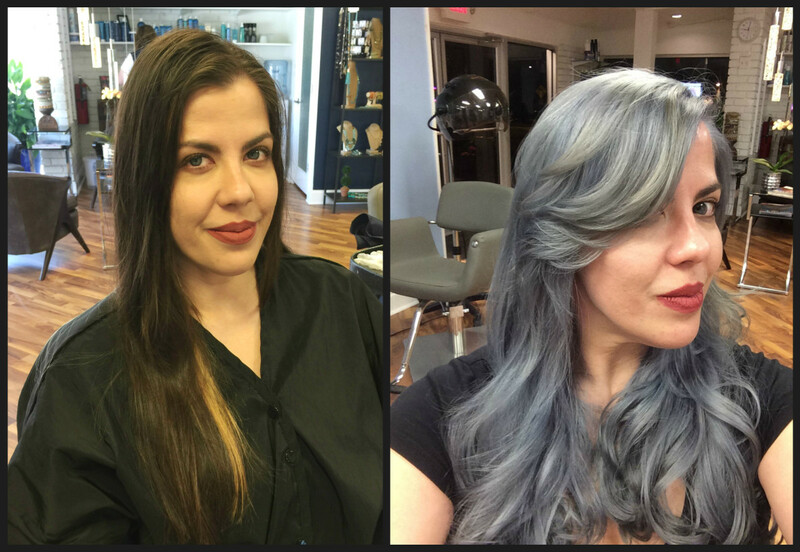 Master Stylists Les Bouska and Donna Harris of Atlanta Hair Studio collaborate to create a dramatic version of Guy Tang's SilverMetallic. In a marathon 8 hour salon session, Tang's Kenra Color turns dark, processed hair into a scintillating silver sensation. Les Bouska explains the process of lifting color on long, color-treated hair, "To begin, we prepared the model by applying Kenra Color No Ammonia Lightener and 30 Volume Developer in equal parts + Olaplex No. 1 all over, until desired level of lift was achieved." "In this instance, our model had long hair that was color treated with dark pigments, so we divided the roots and length for different processing times. Removing the color from the length took a full 7 hours to achieve the necessary level of lift. 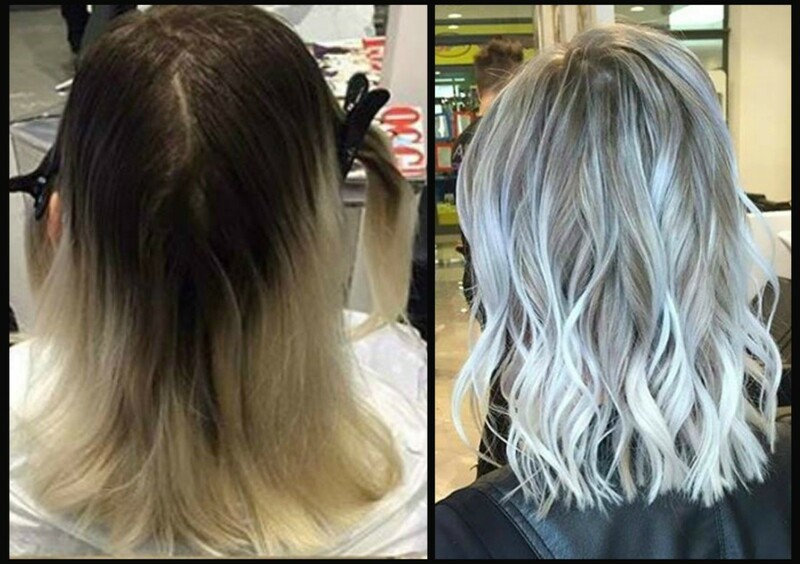 Without adding the Olaplex, seven hours of de-colorizing would have left most of her hair in the salon sink when it was rinsed." 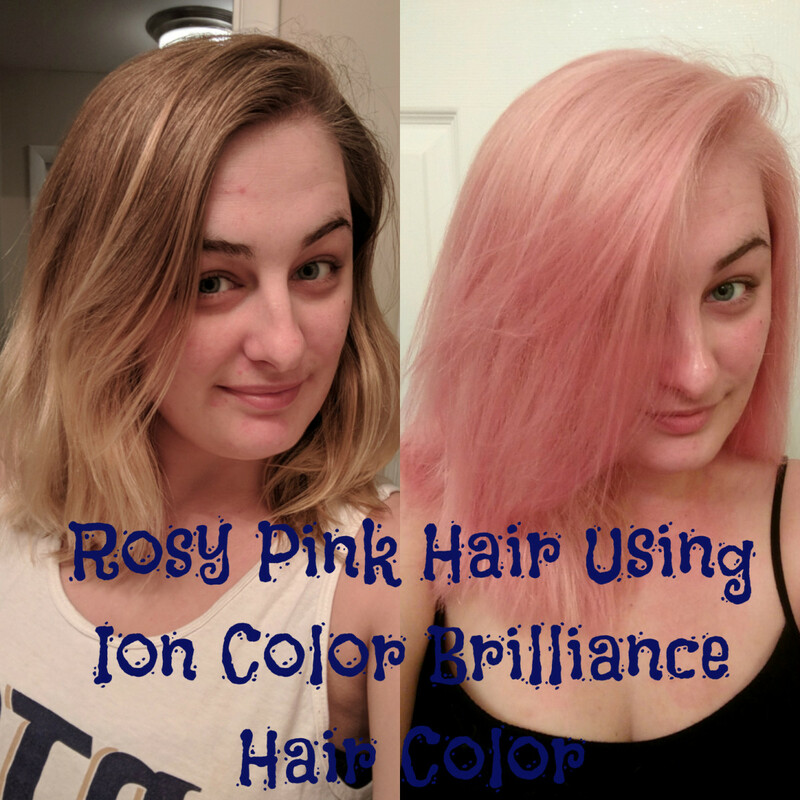 "The roots, which had received much less color treatment over time, only required 1 hour of processing with the above formula." Rinse and shampoo the lightener out and tone all over with Rapid Toner SV (1oz) and 9 Volume Activator (2oz) + Olaplex No 1. Shampoo and dry completely. 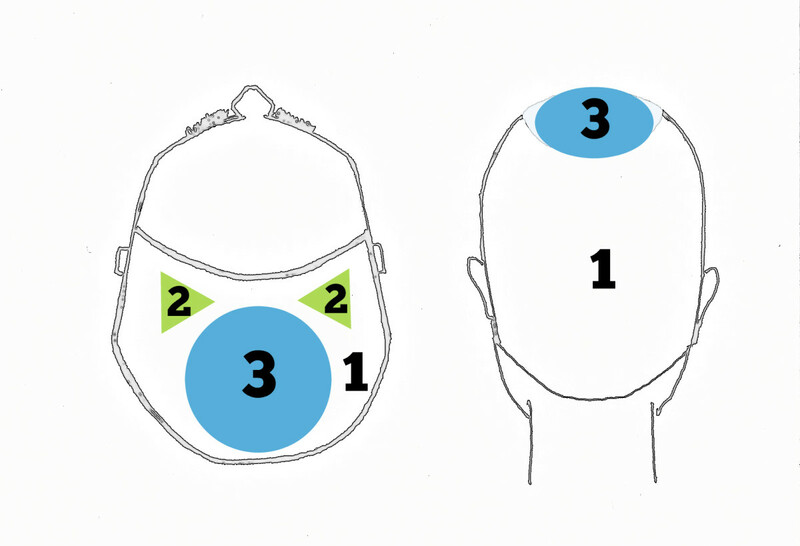 Divide the dry hair in sections according the the diagram below. Three different formulas will be applied to each of the corresponding section numbers. Section/Formula 1: Begin by applying Formula 1 as the foundation color throughout the diagram section 1: Foundation Formula: 7SM/10Volume + Olaplex No.1. Section/Formula 2: Apply the accent to Section 2 of the diagram: Accent Formula: 7SM (14/5 oz) + Blue Booster (1/5 oz) + 10Volume (2oz) + Olaplex No. 1. This is applied using a diagonal skip slice foil application. Apply Formula 2 between foils. Rinse: Apply Olaplex No. 2, comb through and allow to condition for 15 minutes. Rinse and style. International Social Media Hair Sensation - Alenn Mujagic shows us how to use Rusk's Deepshine Direct Icy White to maximum advantage. 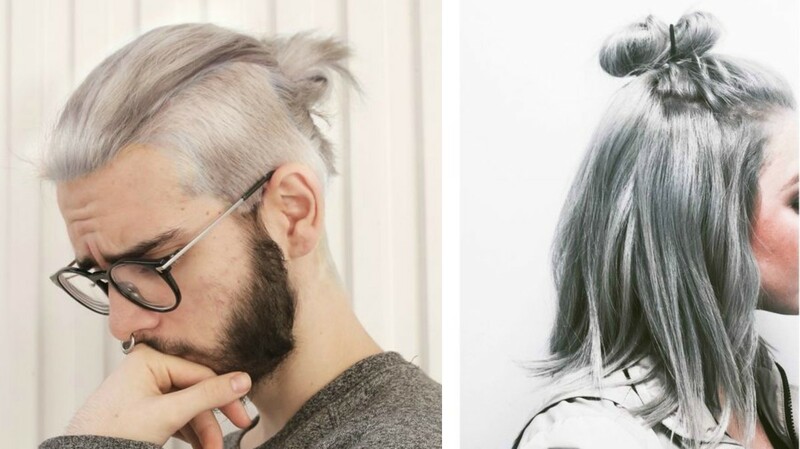 Alenn Mujagic created an international sensation when he posted these photo's to Olaplex's Facebook page. Even the Parisians were buzzing about it! 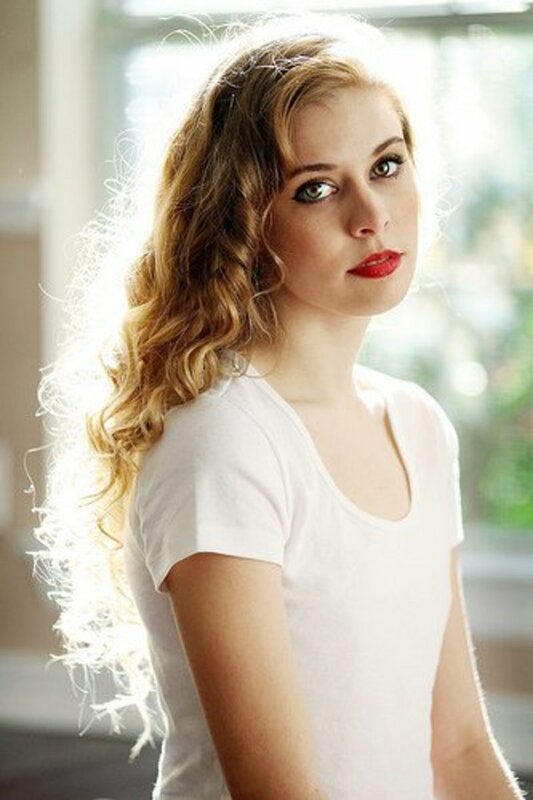 Here Alenn shares his formulas for creating this sensational look. The secret is nearly 250 fine foil highlights, or baby lights, as he likes to term them. Alenn achieved this look from start to finish in 2 hours. Begin in the back area by creating micro section fine high lights (you will ultimate have between 200-250 foils depending on the client's hair volume), using Schwarzkopf Lightener + 30vol (9%) + Olaplex No.1 on the roots and 20vol (3%) + Olaplex No.1 on the length. Vary the ratio of root to length utilizing the seamless fusion technique in each micro foil section creates a more dramatic result. For the front area use Schwarzkopf Lightener 40vol (12%) + Olaplex No.1 on the roots and Schwarzkopf Lightener 20vol 10%+ Olaplex No. 1 on the length. Processing time was approximately 50 minutes for this individual whose hair was already de-colorized to a high level. Shampoo and rinse to remove the bleach, then tone with Icy White Rusk® Deepshine® Direct 7 minutes on the roots, then sink pull through to the ends for an additional 3 minutes. Rinse. Next apply Olaplex No. 2 for 15 minutes. The Olaplex must be combed through and can be left on as slippage for a cutting serum, conditioning at the same time. The Pravana Vivids collection is composed of semi-permanent colors that are applied directly to clean, dry, pre-lightened hair and are not mixed with any developer. Pre-lighten hair using PRAVANA Pure Light Power Lightener with Olaplex No. 1 to the desired level, 9-10 (the color of the inside of a banana). 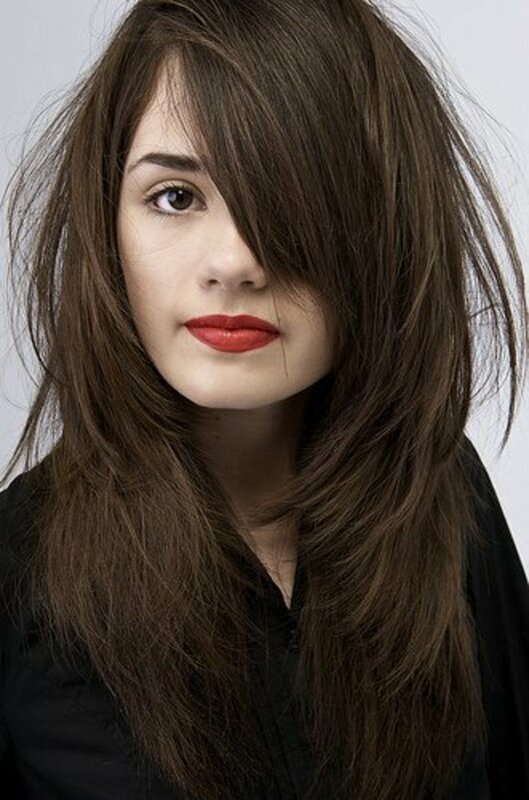 Before applying semipermanent VIVIDS, shampoo thoroughly to remove Lightener, and dry completely. Taking 1” sections, apply silver color directly + Olaplex No. 1 to the hair, applying section-by-section to ensure complete and even coverage. Color that is undiluted will give a gunmetal gray effect. Color can be diluted with conditioner to create a lighter effect. Use fuller strength at roots, adding conditioner to the color over the length of the hair strands. No developer is needed. Allow to process for 30 minutes at room temperature. Gently shampoo with VIVIDS Color Protect, and rinse with cool water, until the water runs clear. Apply VIVIDS Color Protect Conditioner + Olaplex No.2 for 5 minutes and rinse. Metallic hair colors will begin to fade within two weeks of application. These tips will help you to extend the life of your new color. Shampoo with wet shampoo less frequently and employ a dry shampoo to keep your hair looking and feeling fresh. Avoid using traditional hair rubber bands. Try using butterfly clips or scrunchies to minimize damage and fly-away hairs. 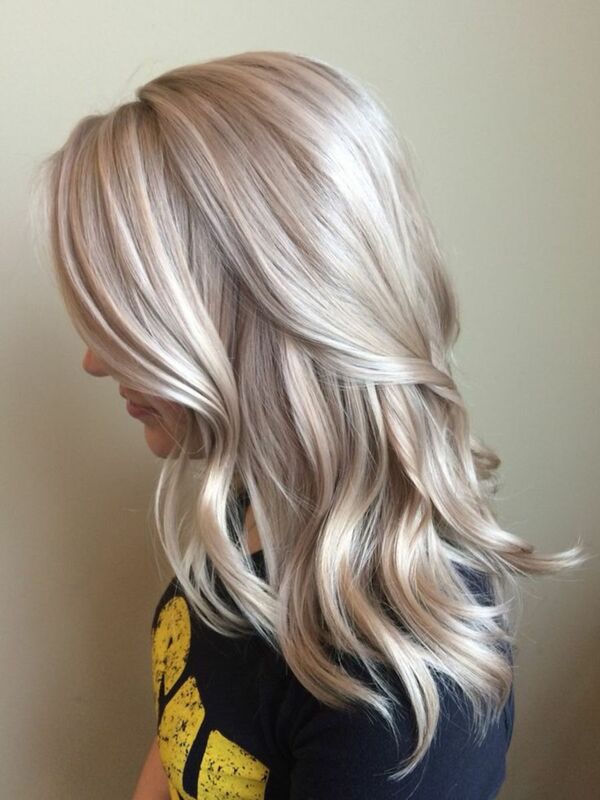 can I bleach my hair after using a metallic hair color? It is best to use a hair color remover rather than bleach. The color remover will leave your hair ready for a new color, and cause less damage to the hair follicles than bleach would. DIY Hair: What Is Toner, and How Does It Work? Hi Pete: In this article I am thinking about Meryl Streep among others who sport a metallic look rather than the old granny gray. 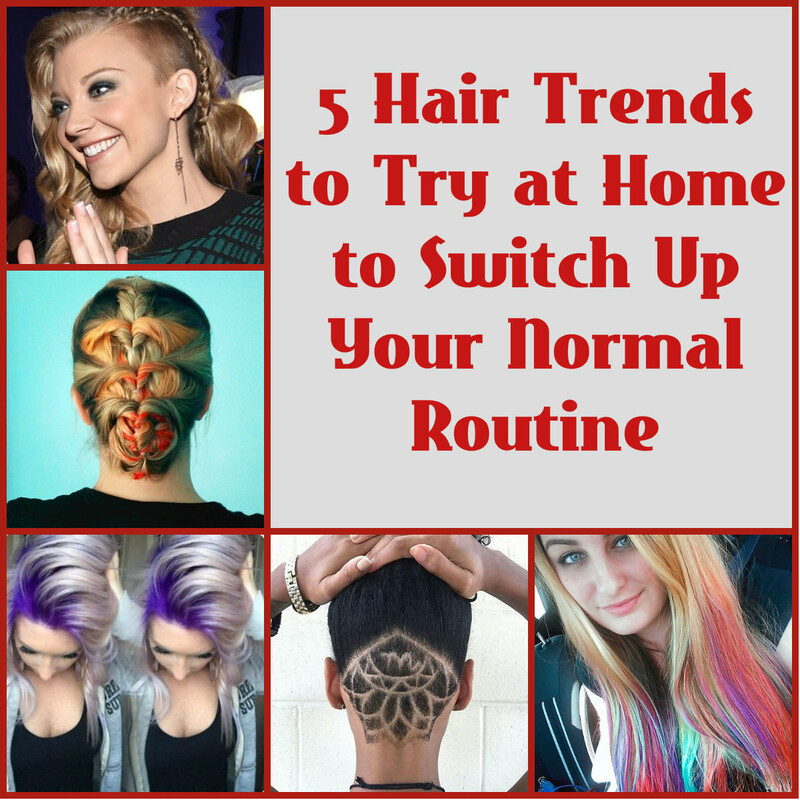 Young women look fantastic with a gunmetal gray hair style. I'd love it too, if I weren't old enough to deserve the look. lol Thanks for visiting. What does A List star mean? Most of the types constantly forced in our faces like the Kardashians are over hyped talentless trash who pay promoters to make up attention seeking schemes, or made-up or dumb stories to magazines, for idiots to read.